My child’s cancer diagnosis abruptly halted reflection on my own post-cancer body and soul. But after he died, it came roaring back. In Kabbalah this semester, we are studying “Masks”. 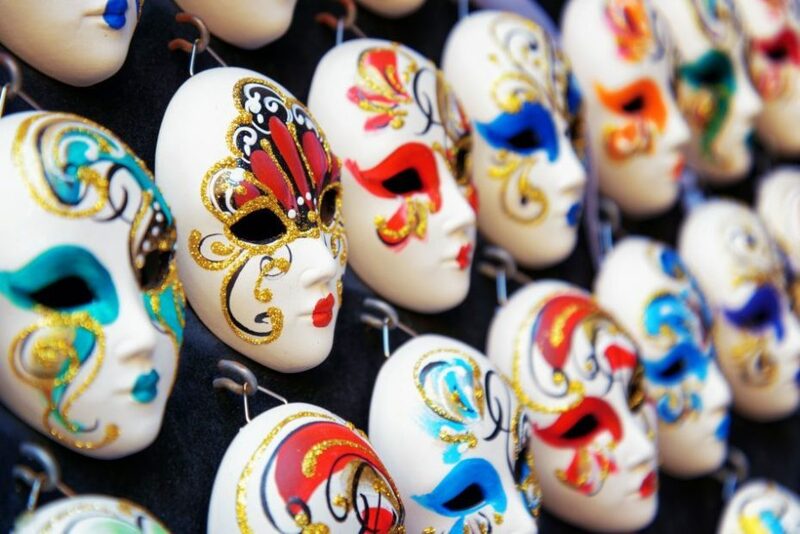 What masks do we wear in our lives? And do we wear our masks or do they wear us…? This is the second level course to Soul, Level 1, which I am currently teaching. It has been terrific to be so immersed in the first year curriculum, preparing for each class, reviewing texts and referencing sources. Pondering themes- how I relate to them, and how I can make them alive for others? And then, once each week, I get to peer ahead, and engage in Soul, Level 2: Masks. In this week of the Mask class (Who Are You? ), we discussed people with body deformities or differences and addressed how their bodies are masks for them. We watched a short video of people with physical differences who elected to have mannequins made in their likenesses to be placed on display in a storefront window- dressed to the 9s. This appeared to be a profound experience for them as they viewed and touched their mannequin-bodies. It made me wonder if they ever viewed their full physical selves before, especially seeing their bodies as beautiful? My thoughts immediately went to our son, Koby — who was a healthy active 11 year old, and who became disabled overnight due to a brain tumor. He lost use of his dominant hand and needed to re-learn how to walk, speak and eat again. Getting dressed was an issue, as he couldn’t do it independently. He usually wore sweatpants, so he could have dignity, privacy and independence. Fortunately, we were introduced to a non-profit, Runway of Dreams, which promoted lines of adaptive clothing for children with disabilities. Through them, Tommy Hilfiger created a modern, sharp looking line of adaptive clothing for kids like Koby. When we ordered “button-down shirts” without buttons, and jeans with velcro instead of zippers and buttons for Koby, he got his swagger back! He felt so good when he could wear nice pants and a sharp top. His whole self was different. As we continued along the class, we saw a video of Erica Becker, a young girl with cerebral palsy, and Jen Bricker, an athlete born without legs. We discussed body differences, how we see ourselves and our own differences— and though my thoughts first went to Koby — I came back to look at myself. I was diagnosed with breast cancer in September of 2015 had a mastectomy the next month. I remember when I lost my hair that December. I was angry, because I felt cancer had stolen my femininity. First my breasts, then my hair. I finished chemo in February 2016, and a month later, Koby was diagnosed with Glioblastoma. I didn’t have time to come to identify with a “survivor” label, because I transitioned right into Koby’s crisis. Our family’s crisis. Three years after my mastectomy, and 9 months after losing Koby in early 2018, it smacked me right in the face. This was a big deal. This was a big deal because my body had transformed and I hadn’t really had time to deal with it. I was changed both internally and externally. I related to myself in a new way, and others related to me differently, too. I remember one of the first days my hair fell out. I was meeting a friend for coffee and didn’t know how to cover it up. I tried on this bald “mask” and she was shocked when she saw me. It was “brave” to be out in public without my hair. But what was the big deal? Wearing a hat, you’d notice I was bald, too. Now, three years later, I’ve had reconstruction surgery. Everything looks “as to be expected” on the outside, but under the layers, it’s not the same as it was. Not my body, not my hair. I don’t particularly think about it too often. My muscles are different and I wonder how it affects my ability to do certain exercises. I’ve always been low maintenance with my hair – a wash-and-go person. Sometimes I’m surprised when I see its craziness in a reflection. I was getting so triggered over this train of thought in class. I’d not spent much time thinking about it before. Thinking about my breast cancer journey, thinking about my body as not my body, and whether I see it as “maimed” or “disfigured.” And what does that mean for me and my identity? And then I thought about what else made me feel like my heart was in my throat – when I became aware that breast cancer was the turning point of my life. From that point on “something” was never “nothing.” Breast cancer led to Koby’s brain cancer, led to the loss of my oldest child. We were immersed in so much sustained stress, I never had the chance to think about dealing with my breast cancer and my changed body, until now. I thought about how all of this is connected to our family’s relationship to health. Hannah just came upstairs with a “my tummy hurts, I can’t sleep”— and it’s all we can do to treat her with compassion and patience instead of becoming panicked that something is seriously wrong with her. It’s always like this. Our turning point. My turning point. I can grieve it, or I can accept it. Or, yes and…both. And what does it mean to grieve and accept it? And what is it that I am accepting? This journey? I can live it, but I certainly don’t accept it. Maybe someday I will. Breast cancer quickly retreated to the rearview mirror once Koby was diagnosed. The only sign of it that I deal with on an ongoing basis, is my hair. But how have my masks changed as a result of it? And what do they represent? Is it how I see myself, or how others see me? “Breast Cancer survivor” isn’t just a label or the act of buying pink merchandise. Breast cancer survivors have to relearn who they are. Men and women who go through it need to reexamine their sense of identity. This is a physical and emotional journey. What masks am I choosing to embody? Have I acknowledged all of them that I am wearing? Or are they wearing me? 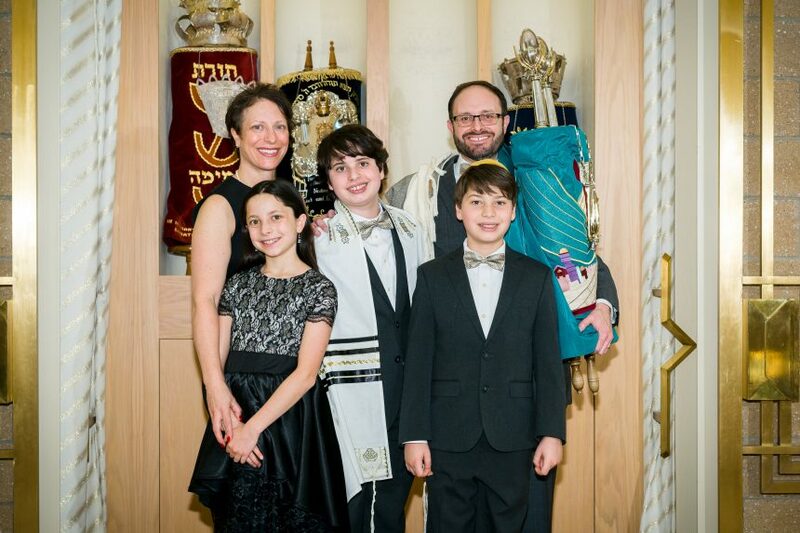 Melanie is an educator and community organizer in Denver, CO. She is married to Rabbi Salomon Gruenwald, Associate Rabbi at the Hebrew Educational Alliance, and mom to three children, Koby (of blessed memory), Hannah and Micah. She is currently teaching live and online courses through the Kabbalah Experience. Mel. I read what you wrote. You are a superwoman. I am over joyed to have known Koby and you in one of our classes. He was such a ray of sunshine and so were you. Of course, I did not know of your struggles, nor his,as both of you were so full of grace. Be blessed.